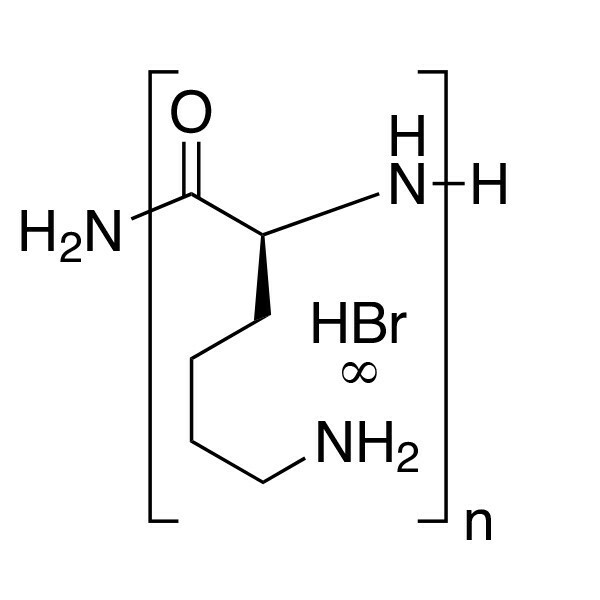 Poly-L-lysine (PLL) hydrobromide is a synthetic cationic amino acid polymer. It is used to promote cell adhesion to solid surfaces. For example, microscope slides coated with positively charged PLL permit electrostatic coupling of sample to slide surface through interaction with negatively charged ions of the cell membrane and the culture surface (see Polysciences product 22247, Poly-L-Lysine Coated Microscope Slides).